The holidays are, by definition, joyous occasions. We adorn our homes with Christmas wreaths, magically untangle yards of blinking holiday lights, and gather together to celebrate the season with our loved ones. But sometimes, in all of our merriment, we don’t realize that others are struggling with loss, grief, or depression. Last year, five days before Christmas, my mother passed away. She was the picture of vivaciousness, even at age 90, and she was masterful at connecting with people. This year, and I suppose every year henceforth, the holidays will be a little bittersweet. While I love being with my family and friends, I am also be thinking of the smiling face I cannot see: my mom’s. We all know someone who is struggling with loss or grief, but sometimes it’s hard to make contact or know what to say during such a joyful time. Still, this shouldn’t stop us from trying to connect, especially with those who aren’t exactly feeling the holiday spirit. These people, more than anyone else, need our love and support during the holiday season. Sheryl Sandberg, COO of Facebook, understands this struggle firsthand. Two weeks after the unexpected death of her husband, she had to prepare for a father-child activity without him. When she broke down crying over the loss, her friend reminded her that Option A, having her husband there, wasn’t available – but they could make the most of Option B together. In this spirit, Sandberg started a nonprofit called Option B, with an #OptionBThere initiative for the holidays. The nonprofit provides advice and even conversation starters so you can be there for loved ones experiencing hardships during the holidays. 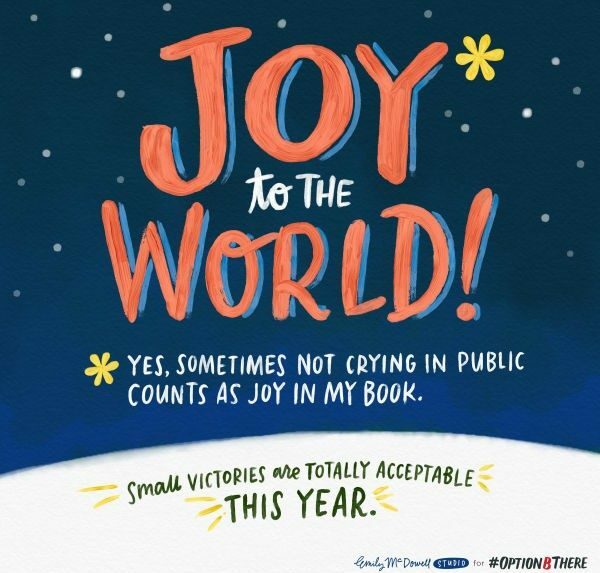 There’s no perfect moment to break the ice, and it may be awkward, but allowing space for all feelings during this celebratory time- even sad ones – is one way to show your support. They even provide heartwarming holiday cards for long-distance loved ones. This Christmas, I’ll allow myself moments of reflection and sorrow, along with moments of fellowship and joy. I’ll cherish my memories of the holidays with Mom, and I’ll create new ones with my family. 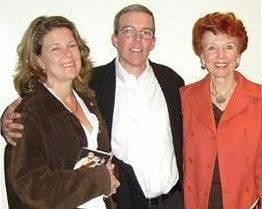 I’ll do my best to really look at other people, ask how they’re doing, and respond with care and compassion, just as Mom would have done.